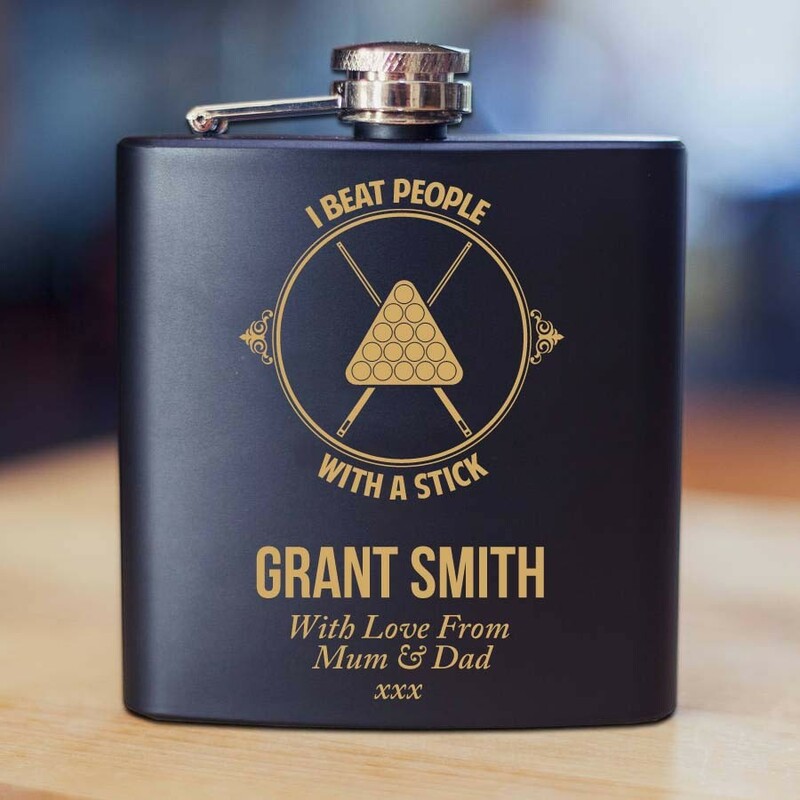 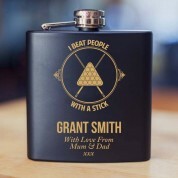 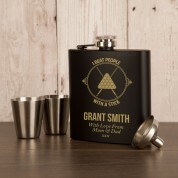 For the Snooker Champion in your life we proudly present our 6oz Laser Engraved Hipflask with humorous design. 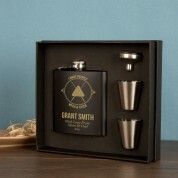 The presentation of your gift is impressive as the components all sit in a molded presentation box. 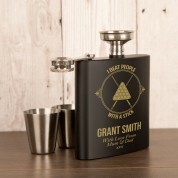 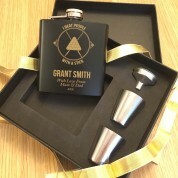 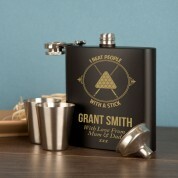 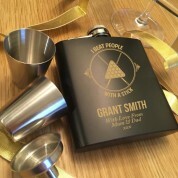 You will receive a fully personalised gift comprising of a 6oz engraved black hip flask, 2 drinking cups and a pourer.